Have any of these, or something similar to them, ever happened to you? You find your mind wandering during conversations, sometimes so much that you need to ask the person you are talking to to repeat a question. You are on deadline to complete a task, yet the urge to check your email keeps intruding, pulling you from your project. While reading, you find yourself at the end of a page without any idea of what you just read. Sometimes repeatedly. For the same page. Just so it’s clear, one needn’t have cognitive decline to have these experiences. The problem, more often than not, is the result of our distracted minds that can result in a reduced ability to focus. The good news is that the focus and concentration capacity of your brain can be trained and strengthened like any other muscle. The common element in each of these circumstances is distraction. And our lives are full of distractions. Our susceptiblity to distraction has become habit. 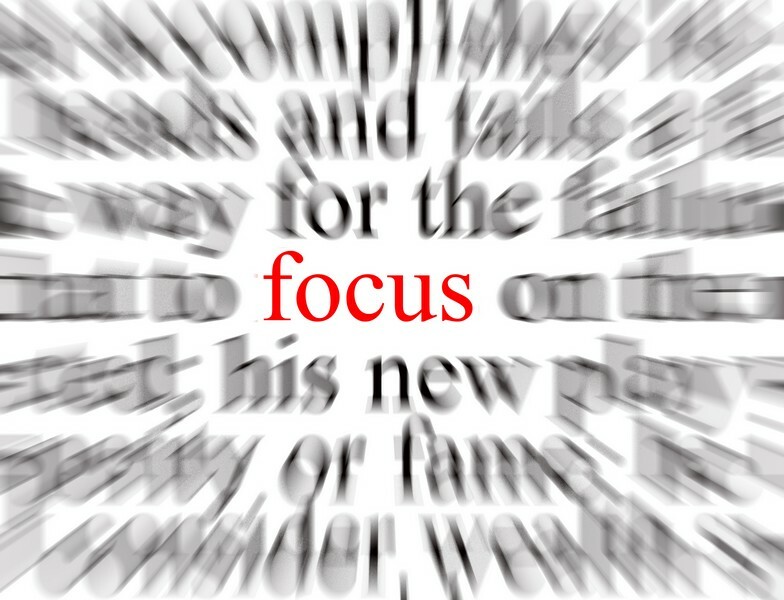 The ability to focus on demand is a unquestionably a quality we can all use more of. Whether it’s for a task at home, work, or the ability to be more engaged in conversations, concentration is one of those qualities that everybody seems to want to get better at. There are suprisingly simple ways we can improve our ability to focus. A few gentle, consistent practices will help you be more present throughout your day. Greater presence and less distractability lead to less mental agitation, more positive brain states, and higher quality interaction with others. 1. Utilize daily routines to help you gather your attention. Connecting regular tasks with a reminder to focus builds reminders in for you. Every time you brush your teeth, take a shower, do the dishes, walk in or out of the door, get into the car or onto the train is an opportunity to trigger reminders. Each of these moments offers the perfect opportunity to implement S.T.O.P., a simple process for bringing you back to the moment in as little as five seconds. 2. For one meal a day, when you eat, eat. And only eat. Many of us have the practice of making meal time part of multi-tasking. Watching TV, navigating email, reading, texting – even “working lunches” at our desk – all pull us away from being fully engaged – and fully enjoying – our meals. 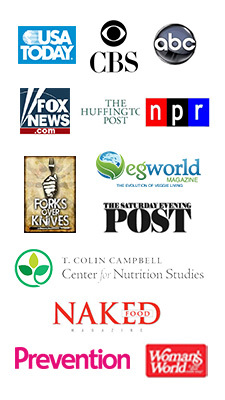 Yet simply eating while you are eating – without all the distractions – benefits us in more way than one. For one thing, it reconnects you with your hunger and fullness signals. This means you are more apt to eat in a way that is compatible with eating the right foods in the right amount. When busy with other tasks, we disconnect from when we have truly had enough to eat. Or when we haven’t had enough to eat. To read these signals most accurately, you need to be paying attention. You also miss much of the joy and pleasure of your meals by not being present mentally during repasts. This simply practice of doing what you are doing while you are doing it – in this case, eating – gives you more eating satisfaction, and also acts as a tool for presence to take forward into the rest of your day following such meals. If you can’t find one meal a day for this activity, see if you can find several meals over the course of the week during which you can. Eat breakfast alone in a quiet kitchen. Close the door to your office and turn off your computer to eat your lunch. Take time for tea and toast or a mid afternoon repast during which you can be alone, quiet, focused solely on your food. You can, by the way, even do this activity in a busy coffee shop! Have you ever been engaged in a conversation yet, in the midst of it all, you had the clear sense that the person you were talking to wasn’t really listening to you? We can tell when the mind of others wander off. It shows up in half-hearted responses, comments clearly ‘unheard’, and even that sense that the other person is planning their response to your words in favor of actually listening and responding to what you say. Or planning the rest of their day. This is a terrible feeling, and we’ve all been guilty of it on the receiving as well as the giving end. This is precisely a point at which you can cultivate more concentration, simply by focusing on what the other person is saying. Every time your mind wanders off, or you start to ramp up for a retort or comment, mentally pause and tune back in to what the other person is saying until at which time speaking in response is warranted. This has a transformative effect on relationships. 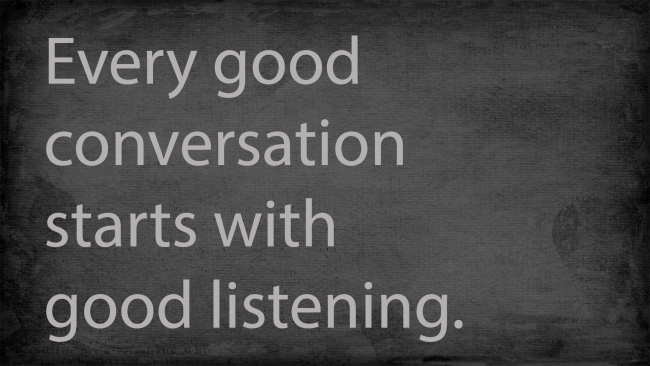 First, because you get better at hearing what the other person is saying. And second, because it helps your navigate any reactivity or interjections you may want to be adding to the conversation prematurely. A simple process known as the body scan is a simple, direct way to bring yourself out of distraction and right into the present moment. By bringing your attentive focus to a journey through the body, noting what sensations are present – be they tension, relaxation, discomfort, or ease – you perform a simple exercise that sharpens concentration. As you progress through the body with the body scan, or body survey, you keep bringing your mind back from wandering and distraction to the progression through the body. The result is reduced distraction, released tension, and increased well-being. The body scan can take anywhere from one minute to many. 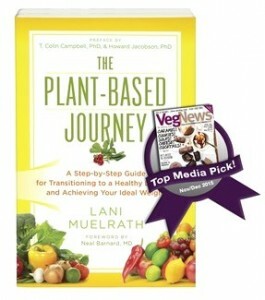 To make it easy for you, I am providing the link for you to download the Body Survey from Day 9 of The Mindful Vegan. This audio is nine minutes in length. 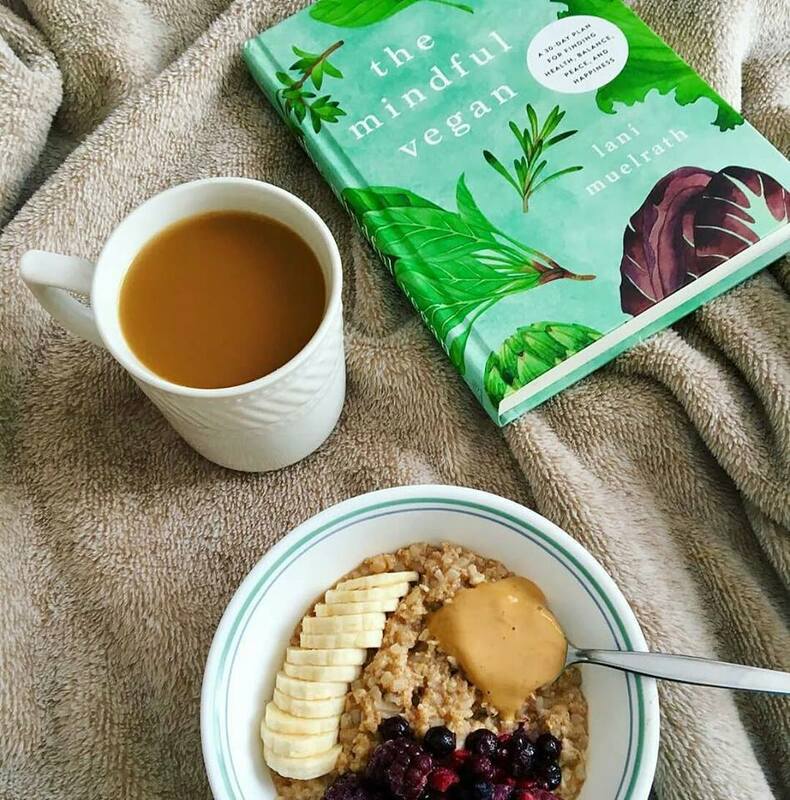 If you have already purchased The Mindful Vegan and have downloaded the full thirty days of audio support, this will be familiar to you. If not, then this can be a great introduction to one of the practices of mindfulness meditation. 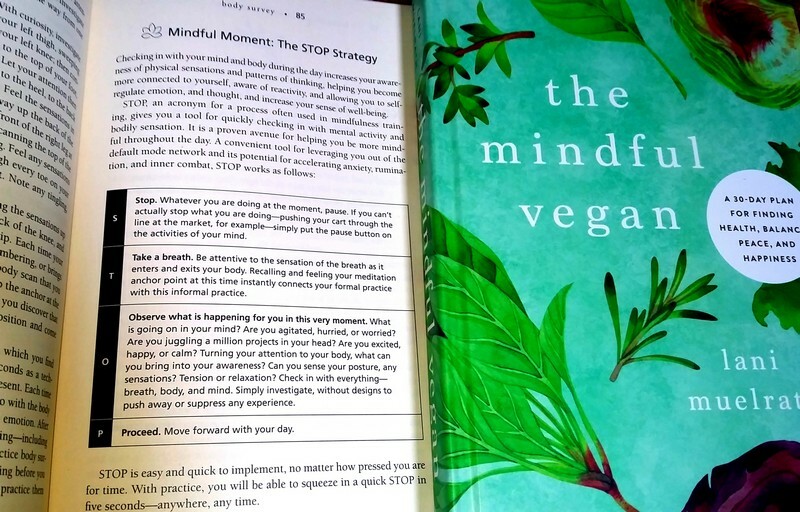 You will note that the introductory comments refer back to Day Eight of The Mindful Vegan, where meditation on bodily sensations is introduced. 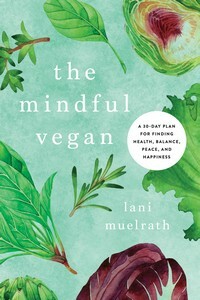 You can also click here to download the audio for Day Nine of The Mindful Vegan: A 30-Day Plan for Finding Health, Balance, Peace, and Happiness , Body Survey I (9 minutes). Each of these four practices – S.T.O.P, eating a meal mindfully, being a more attentive listener in conversations, and diving into a body scan – has the effect of decreasing stress and recharging your batteries. The result? A more resilient you. @Joe I wish that there was someone last year that would have warned all the so-called fans and sheep that Hard Knocks was nothing but a distraction!!!!! Which was called on a podcast “a distraction by the Bucs very own Demar Dotson!!!!!!!!! I wish that someone had the foresight, the vision that called out hard knocks out as a distraction!!!!!!! Oh wait, there was!!!!!!! OMG!!!!!! Its another “Realist Repost!!!!!!!!!!! The Buc Realist Says: April 10th, 2017 at 7:21 am If the owners signed up the Bucs and are forcing it on them, then that is fine!! they can sell more jersey’s and the Buc fans out west will love it!!! But I will think of the year differently!!! My expectations for the team has changed!!!! The goal of going deep in the playoffs will change to “just being national recognized”!!!!!! In other words I will give coaches and players a huge pass this year if we do the NFL’s longest commercial!!!!!! I do not see how this helps the team on the field, and I do not see NFL’s best head coaches lining up to be on it!!!!!! Go Bucs!!!!!!!!!! Theft, Feed Scraping, and Website Hijacking ? Lorelle on WordPress. I was actually moved enough to post a thought 😉 I actually do have some questions for you if you tend not to mind. Could it be simply me or does it look like some of the comments come across like left by brain dead individuals?